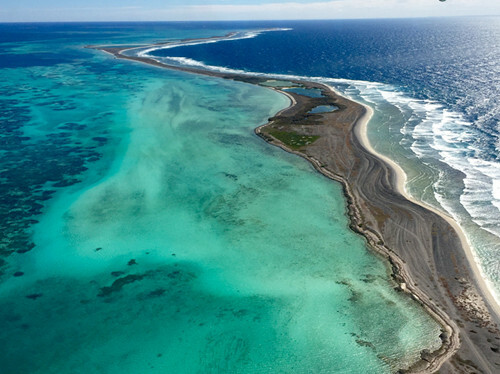 Before departure our pilots will give you a talk on the Abrolhos Islands including the history and information on the fishing industry as it is today. We depart Geraldton just after 9am, overflying our beautiful city and then tracking for an extended scenic overfly of the three main groups of the Abrolhos Islands.- The Pelseart, Easter and Wallabi groups. En route our pilots will point out the pearl farms, the historic church on Basile Island, the brightly coloured fishermen’s camps, marine life including sharks, manta rays, dolphins and migratory whales(in season) and some of the shipwrecks for example – The Zeewijk(1727) and the famous Batavia (1629). You will also overfly Webbie Hayes’ fort, the oldest European building in Australia. After landing at East Wallabi Island it’s a short stroll to the picturesque Turtle Bay where we have morning tea. After this you can do snorkelling; this environmental measure ensures that you see the best of the marine life and coral reefs but also safeguards the fragile seagrasses and coral. After enjoying lunch you will be taken on a guided nature walk with bird watching and wallaby spotting. Our Pilot/Guide will ensure you see all the points of interest including the osprey’s nest, sea eagle’s nest and the feeding platform, lizards, crabs and spiders. Returning to the beach there is time for another swim or beach combing or just relaxing before heading back to the aeroplane. On departure you will see Long Island (where the Batavia Mutineers were hanged), Beacon Island where many of the mutineers’ victims were buried and the Batavia wreck site overflying the Geelvink channel before returning to Geraldton. 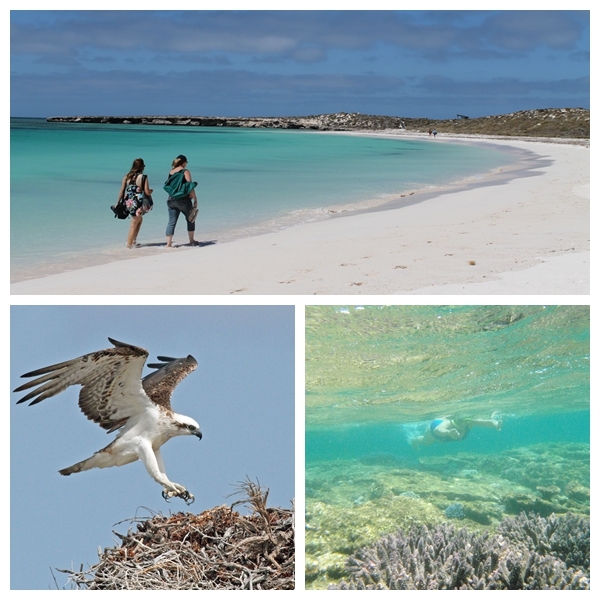 Before departure your pilot will provide you with a briefing on the Abrolhos Islands including the history and information on the fishing industry as it is today. We depart Geraldton just after 9am or 1pm, overflying our beautiful city and then tracking for an extended scenic overfly of the three main groups of the Abrolhos Islands.- The Pelseart, Easter and Wallabi groups. En route your pilot will point out the pearl farms, the historic church on Basile Island, the brightly coloured fishermen’s camps, marine life including sharks, manta rays, dolphins and migratory whales (in season) and some of the shipwrecks – for example – the Zeewijk (1727) and the famous Batavia (1629). You will also overfly Webbie Hayes’ fort, the oldest European building in Australia. After walking to beautiful Turtle Bay we have morning or afternoon tea, followed by the options of a guided snorkelling adventure or a guided nature walk to view the osprey’s nest, white breasted sea eagles nest and the feeding platform, lizards, crabs and spiders. We depart Geraldton at either 9am, 11am, 1pm or 3pm, overflying our beautiful city and then tracking for an extended scenic overfly of the three main groups of the Abrolhos Islands.- The Pelseart, Easter and Wallabi groups. En route your pilot will point out the pearl farms, the historic church on Basile Island, the brightly coloured fisherman camps, marine life including sharks, manta rays, dolphins and migratory whales(in season) and some of the shipwrecks for example – The Zeewijk(1727) and the famous Batavia (1629). You will also overfly Webbie Hayes’ fort, the oldest European building in Australia. Is the overfly of the Abrolhos Islands as described above with a landing on East Wallabi for either morning or afternoon tea.